Despite its consultation with Canadians it appears that the Liberal government is moving forward with their proposed tax changes. As tax professionals we are concerned that these changes will reduce the incentives that entrepreneurs have to start or grow their small businesses. We understand that the government is trying to make an employee’s effective tax rate equal to a small business owner’s effective tax rate. 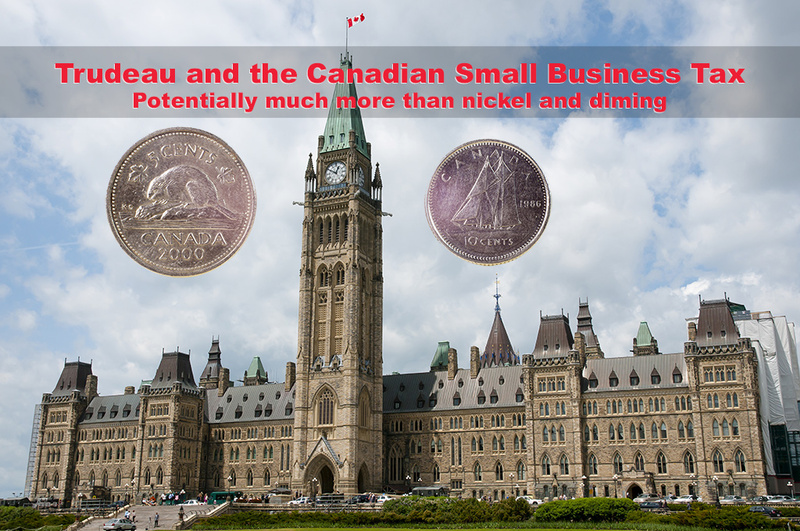 However the government is overlooking the fact that a small business owner carries a tremendous amount of risk. Many have to refinance their homes or take out bank loans to operate their business. Often these liabilities require another family member to co-sign. These loans that entrepreneurs take out usually go to meeting the operating expenses including wages of their employees. These tax planning strategies are designed to allow small business owners to better manage their tax liabilities and reduce their overall risk. This makes it more feasible for them to go into business, support the economy, and hire employees. “Income Sprinkling” to family members also makes it easier for those family members to allow their loved ones to take the risk of starting a business or the personal risk they take by consigning a loan. As with anything the specific details of these changes are key. We are still waiting for these details. If you have an opinion on this matter you should take the time to contact your member of parliament.